Yes – Adobe CS5.5 has just been announced with all the details… Pretty much on the time­frame we forecast, you can learn about and order any of the new products or suite editions, or download a free CS5.5 trial. And while the version and software have changed, the boxes look much the same as before. For this “mid-cycle release” coming one year after CS5 first arrived, Adobe is offer­ing similar configurations and prices, but with most of the individual products receiving additional features, enhanced functionality, updated technol­ogies, or nice performance boosts. Overall we present some highlights here, but see our two companion “what’s new” articles for: (1) an overview of the key differences between CS5 and CS5.5, including what’s been added and what’s been taken away, and (2) a detailed product-by-product review of the significant new features and enhancements in CS5.5. The CS5.5 Price Sheet shows the complete pricing for the full versions in major geographies and currencies. Upgrade pricing from older versions (CS2, CS3, and CS4) has edged up a bit, by 5%-19%. The cost to upgrade from CS5 to CS5.5 ranges from $119-$179 for the individual point products, and $299-$539 for the suites. If you’re considering upgrading from your current tools, here’s a helpful upgrade guide with the discount levels. For education customers, the CS5.5 Student & Teacher Edition prices and line-up remain the same, at up to 80% off. Learn the benefits and limitations of Adobe’s academic versions. If you need to run multiple users with Creative Suite, check out the volume license program. Adobe is also now offering a subscription option for new purchases of full commercial products (not for upgrades or students/education). The hardware requirements for CS 5.5 are essentially identical to those for CS5. Premiere Pro CS5.5 and After Effects CS5.5 continue to be 64-bit-only products, however all of the other applications will run well on both 32-bit and 64-bit systems. And the new suite editions do still include the CS4 versions of Premiere Pro and After Effects for the benefit of those still on 32-bit computers. Adobe has also put together an excellent FAQ that addresses a lot of general questions. And the online documentation for all CS 5.5 applications just went up. There have also been several “Ask a CS Pro” Q&A sessions where Adobe experts answer popular questions about the new release. And similar to other Adobe software, you may be able to install and run CS5.5 on up to two computers, subject to the terms of the software’s license agreement. So all this new software has been officially announced, but when will CS5.5 be shipping? 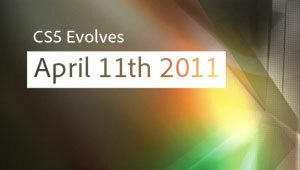 Adobe tells us the date it will be coming out is in early May available now! Read more about how CS5.5 is different in other ways, or see the new featuresets within each product, or download any of the free trials. Do you have any questions about CS5.5? Just ask them below and we’ll get you answers fast! 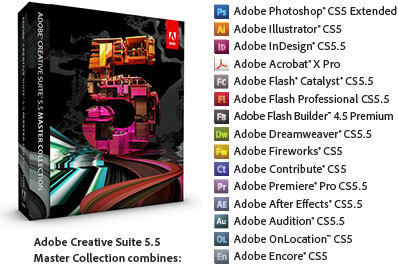 Adobe CS6 vs. CS5.5 Comparison – What’s the Difference Between? Adobe CS5.5 vs. CS5 Comparison – What’s the Difference Between? Just follow the essential CS5.5 download instructions, which are required by Adobe’s servers to enable the links… Otherwise you will get that access or permissions denied message instead. I am just trying to reinstall Adobe Creative Suite 5.5 Standard – and have hit the link that is supposed to let me do it and keep on being sent back to this page – what am I missing? I purchased it back in April 2012, just had my vision board replaced on my iMac and now Apple is telling me it is an Adobe issue and there is no tech support for Adobe :( I’ve lost the ability to cut and paste and move text boxes in all my InDesign files, no short cuts work, can’t use the picker in Photoshop, all my custom colors on my files are not registering. I had no idea a new vision board would paralyze me like this. I have to be on press by the end of the week – can any one help – I just want a direct link to put in my serial number and reinstall what I’ve already paid for. Anyone??? Thank you! Hey Alison, the CS5.5 direct links are here for download, if it still works with your new system/configuration. Is There a Photoshop CS5.5? No, But There’s a Photoshop CS5.1 Adobe CS5.5 vs. CS5 Comparison – What’s the Difference Between?